It’s said that necessity is the mother of invention, like how spatulas were created to dig the last, elusive morsel of Nutella from the corners of the jar, or how babies’ chubby cheeks were invented for pinching. 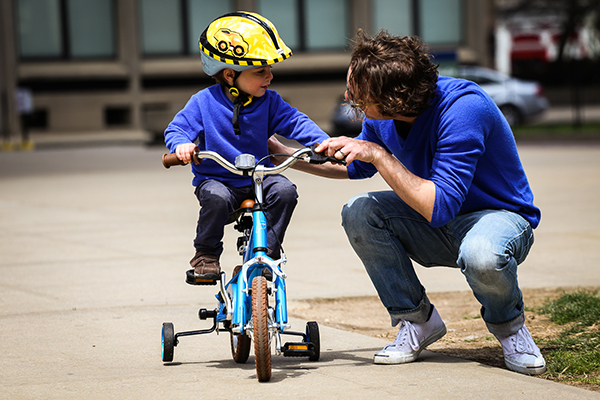 So goes the story of the Priority Start, which grew out of the need for a simple, durable, easy-to-adjust training pushbike for kids. Founder Dave Weiner wanted to teach his son to ride, but realised the options for kids were few. 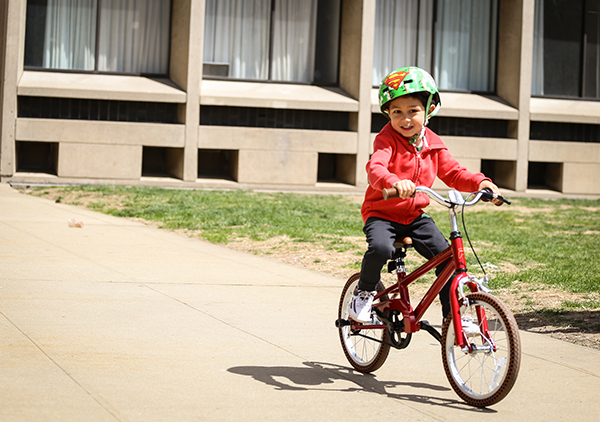 Besides the balance bike, no innovations had been made in the world of kids’ bikes for ages. On top of that, existing bikes quickly rusted, and parents had to train as amateur mechanics and carry a full spanner set to properly adjust the training wheels. 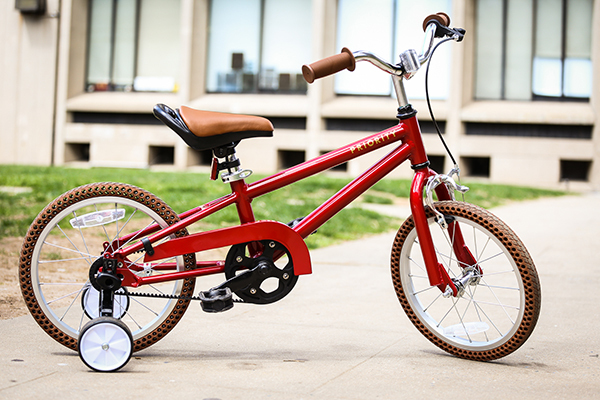 Priority Start’s mission is to revolutionise children’s bicycles. The bike uses a belt drive instead of a chain, which lasts longer and isn’t greasy. The frame is aluminium which doesn’t rust, and bonus: when your kids declare themselves too tired to go on riding, the bike won’t be heavy for you to carry home. The tyres are air-free so they’ll never go flat, but they’ve still got shock-absorbing air holes to help navigate cracks in the footpath and off-road adventures. Priority Start (US$249) just finished raising funds on Kickstarter and because they’re so awesome, they exceeded their goal. Keep an eye on the Priority Bicycles website to find out when the bike will be available online. By the way we’ve got good news: they ship to Australia.